Cbb loves her meatballs and so do I because it’s so easy to cook! Just mix random ingredients together and you can have a variety of dishes. Add some water chestnuts, prawns and mushrooms and you have a different taste. You can have meatballs as they are in soup, braised, as burger patties, wrapped in dumplings or beancurd skin … and the best part? They freeze well for quick weekday meals! 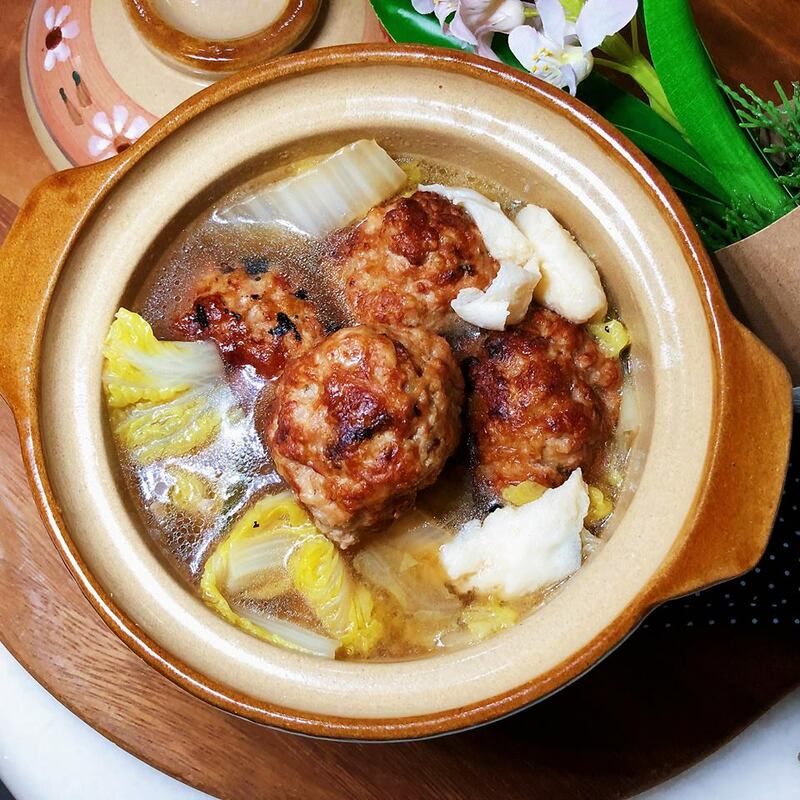 Today’s recipe is Braised Lion’s Head Meatballs 红烧狮子头, gigantic, delicious and juicy meatballs in a yummy broth, with sweet napa cabbage. I like to add fish paste to mine – I don’t care what anyone says! To up the veggie profile you can include some sliced carrots or add Chinese spinach towards the end. Because airfryers are awesome, I airfried the meatballs instead of panfrying them. They’re actually fully cooked in 10 minutes, but the simmering time makes them extra juicy and tender. And my secret to sweet and savoury broth/gravy? Honey dates! Don’t forget to add them. Feel free to reduce the saltiness in the gravy if serving to kids, like using 1 tbsp concentrated stock instead of 2, etc. Your kids will love this all the same. Try it out! Mix minced meat, half of the fish paste, panko, light sauce, sugar, sesame oil, oil and corn starch together. Shape into 6 large meat balls. In an preheated airfryer, AF for 180C for 10 minutes until golden. If you don’t have an airfryer, panfry (use a deep pot/pan) in oil till golden, then drain and set aside. In the same pot (or new pot if you airfried the meatballs), add some oil and fry ginger and spring onions till fragrant. Add the napa cabbage and mix everything well. Add hua tiao wine, chicken stock and honey dates. Bring to boil. Once stock has boiled, add meatballs and simmer for 40 minutes till vegetables are soft. Spoon in remaining fishpaste and cook for 2-3 minutes. Add a dash of pepper. Enjoy! Budgetpantry is a Singapore-based blog that documents family and baby food recipes, along with our parenting journey. Like us on Facebook and fall in love with my goofy girl! [Nickname]: Chua Bee Bee :) [Age]: 24 months! [Occupation]: Baby [Sideline]: Baby TULA Ambassador. Follow her @chuabeebee on Instagram! Read my baby journey and my reviews on the best baby products and services. Have a fussy eater? Try these super simple and nutritious recipes that have worked for us! 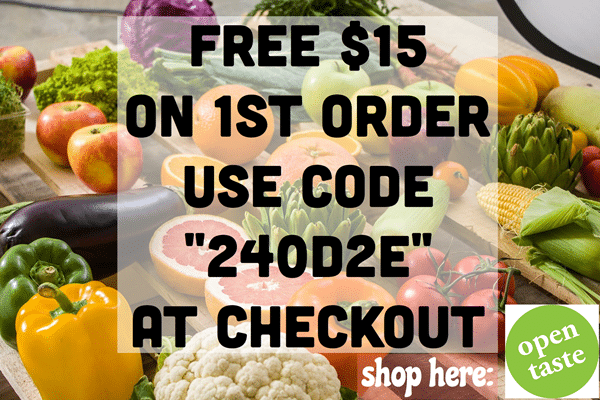 Shop organic and wholesome products on Redmart!